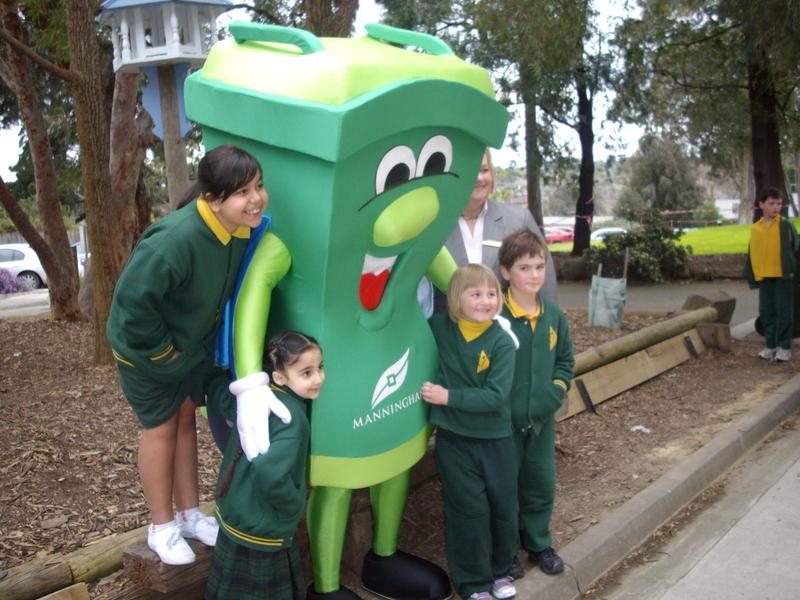 Donvale Primary School has made a commitment to become a more sustainable school. We identified the need to educate children about being conscious of waste and assist them to identify sustainable practices for school and home. Sustainability units have been developed across the school, with a different focus at every level. The students have been learning about the 4R’s (reduce, reuse, recycle, rethink). They discussed ways to reduce and reuse a range of items at school and home, then proceeded to put them into practice. They spent much time learning about the recycling process for a range of products including paper, glass, metal and plastic. Donvale students have also become skilled at being water and energy wise.